An HSA (or Health Savings Account) is a tax-advantaged savings account that belongs to you and is paired with a qualified high-deductible health plan (HDHP). 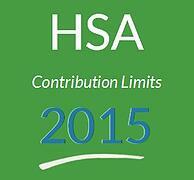 You can make HSA contributions for the 2015 tax year until April 15, 2016. The HDHP minimum deductible increased $50 for single coverage, and increased $100 for family coverage. If you use an HSA to pay for unqualified medical expenses in 2015, the tax penalty is 20% of the HSA distribution. The 2015 HSA rules and regulations were released by the IRS in Revenue Procedure 2014-30. HSAs are explained further in IRS Publication 969.